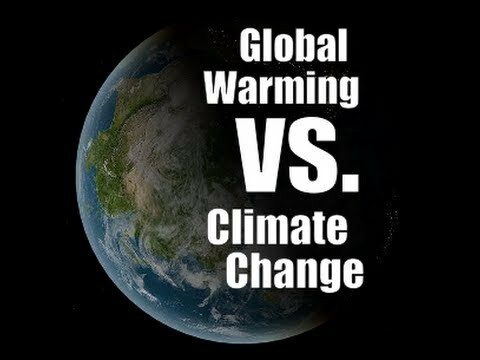 Most of us have noticed and our questioner Jack Sprat has called attention to the fact that the media has stopped using the phrase "global warming" and is now calling it "climate change." Is this significant? We turned to the "Ask" website to see what people have to say about this public shift in wordage. One answer was that "global warming and climate change relate to each other." They are "exactly the same thing." Another person wrote that the media appears to have been responsible for the shift in verbiage even though "within scientific communities they have always been two separate things. "Global warming is a generic term used to describe the observed increase in the average global temperature – that’s all it is, an increase in temperature. Climate change is the term used to describe the effects of global warming." "Those who perpetuate the ‘they changed the name’ myth general suggest two reasons for the supposed terminology change. Either because (1.) the planet supposedly stopped warming and thus the term ‘global warming’ is no longer accurate, or (2.) the term ‘climate change’ is less frightening. "The first premise is demonstrably wrong . . . the planet is still warming and is still accumulating heat. Quite simply, global warming has not stopped. The second premise is also wrong. The term ‘climate change’ has been used frequently in the scientific literature for many decades. There is simply no factual basis whatsoever to the myth ‘they changed the name from global warming to climate change." Columnist Joe Romm once wrote that myths promoted by the global warming deniers, who quote alleged scientific studies stating that the planet is actually getting colder, appears to have had something to do with the shift in terminology. Thus, Romm wrote, the term "climate change" can be safely used to describe the effects of global warming without having to admit that an accumulation of carbon emissions is really causing the planet to heat. Some analysts tag GOP strategist and Fox News commentator Frank Luntz as the fabricator of the term "climate change." Luntz allegedly used the term in 2003 when he wrote a memo suggesting that conservatives stop using the term global warming because it was too frightening. He reasoned that "while global warming has catastrophic connotations attached to it, climate change suggests a more controllable and less emotional challenge."